The beam splitter diverts a portion of the light to secondary attachments such as the second observer tube, video or digital cameras. Beam Splitters are available in different versions. The beam splitter for cameras diverts 70% of the light to the secondary attachment, the one for co-observation under equal conditions diverts only 50% of the light. 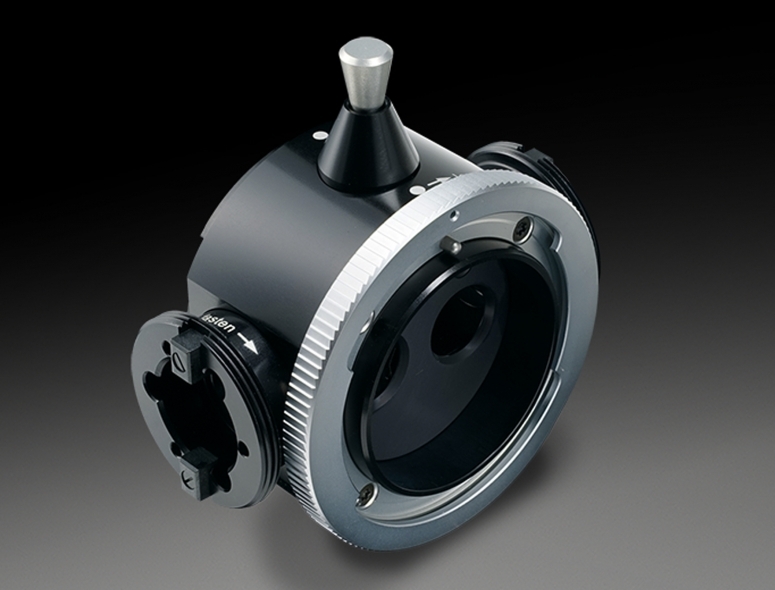 Video or digital cameras can be connected to the beam splitter with a range of C-mount adapters, which offer different focus length for variable sensor sizes. There are also two versions of second observer tubes available: One short version for co-observing in sitting and a long version for co-observing in upright position.